Beautiful home with quality craftsmanship & meticulously maintained over the years with improvements. Lovely curb appeal with circle drive, front porch & set back on the street for added privacy on an absolutely enormous lot. Fantastic 5-bedroom home with terrific floor plan, oversized living spaces & premium finishes make this home the one. Featuring a lovely foyer upon entry, formal living & dining room, main level laundry & powder room. Enjoy entertaining in your gorgeous & upgraded Cook’s kitchen with granite counters, SS appliances & an eating area with luscious backyard views. 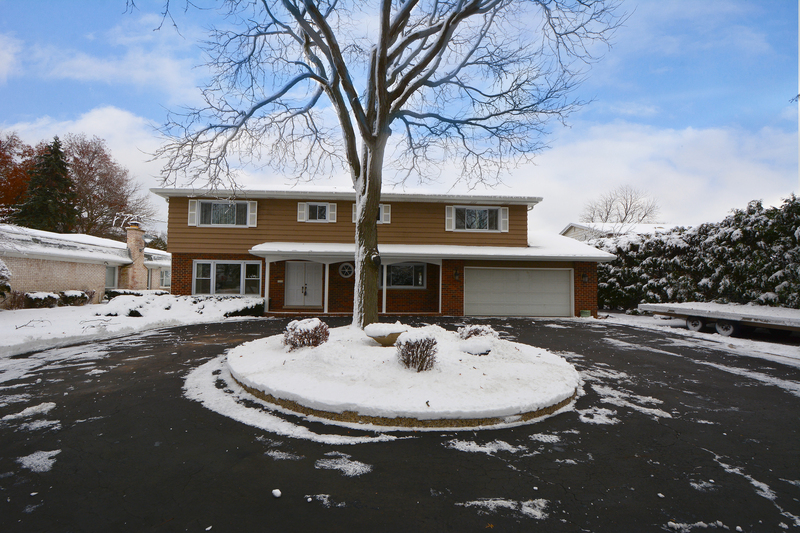 Relax in your family room with lovely fireplace & access to a private yard. Finished basement with huge crawl for storage. Enormous master suite has expansive picture windows & spa-like master bath with dual vanities & separate shower. All 2nd level bedrooms have carpeted flooring & ample storage space. Fall in love with a huge backyard with patio, outdoor grill & more. District 225 schools. Terrific value!